Billy's brother Mako and the lock Nick Isiekwe also suffered injuries which will likely force them to miss games as Saracens are left counting the cost of a bruising encounter. 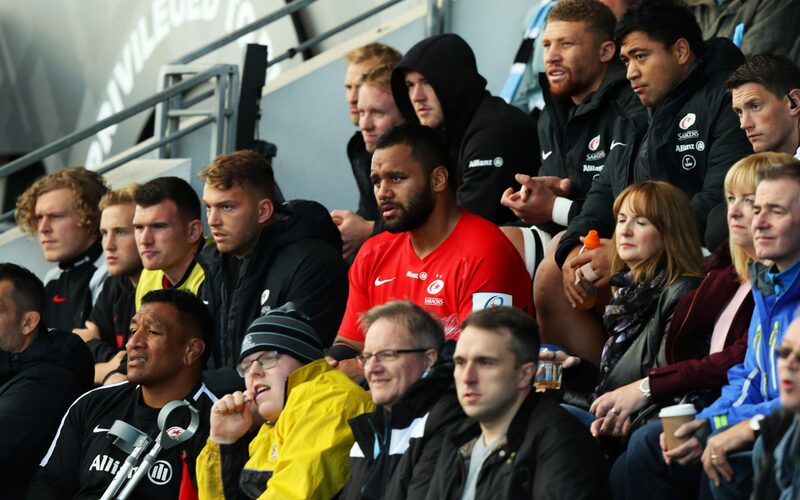 Mako Vunipola is also an injury concern for England ahead of the November tests. 'He is expected to be out of action for around 12 weeks. England have been unlucky with injuries, with lock Joe Launchbury ruled out after knee surgery last week while Bath fullback Anthony Watson and Exeter forward Sam Simmonds will also miss next month's games. Australia faces England on Saturday November 24 local, Sunday November 25 AEDT.